Building Your Wardrobe ; What Is Your Body Shape? Happy new month! How is May starting out for you? Am I the only one who thinks the year is moving really fast? Four months gone already??. I’ve not been consistent since I resumed school fully, and I’m sorry about that. So today, I’ll be starting a series on “Building Your Wardrobe” under the style analysis category. In this series I’ll we’ll be discussing tips, guides and the basic things you need to know about building your wardrobe. Some of the things to be considered when building your wardrobe should be your personal style , lifestyle, budget, body shape, versatility and so on. All of this we’ll discuss gradually as time goes on. 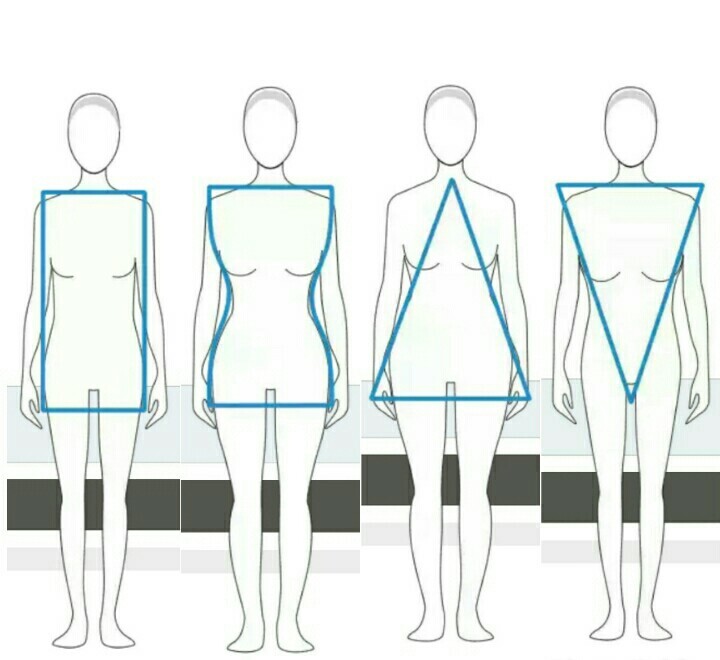 Women body shapes come in and the horizontal proportion and vertical proportion, in this post I’ll be talking about the horizontal proportion, and the next I’ll talk about the vertical proportion. shoulders, waist and hips are within the same width. You should wear clothes that will add volume to your upper body (shoulder/chest) and to your lower body (hips) and at same time accentuate your midsection (waist) in other create a silhouette. The upper body and lower body are quite in proportion with each other, and you have a defined waist. You should take advantage of clothes that enhances your features and accentuate the midsection, avoid ill-fitting clothes. The lower body (hips) is the broadest part of the body, most times characterized with small/meduim bust and a small midsection. Your go-to outfits are those that will add volume to your upper body (shoulder/chest) and accentuate/minimize your midsection(waist) in other to balance it and give you an almost hourglass shape. The shoulder and chest are the broadest part of the body, sometimes with a small midsection. You should wear clothes that add volume to your lower body, accentuate the small waist and avoid clothes that tend to add volume to upper body. There are other types of body shapes which include apple,spoon etc. However, whatever category of body shape you fall into, the main thing is for you to accentuate your features, play down the flaws and add volume to areas you lack in other to balance your proportion. What category of these body shapes do you fall into? How do you get to style your shape ? Please drop your comments, I’d love to know what you think. This post was just to make known the types of body shapes, as it affect how you style your outfits in general (tops,skirts,pants,dresses e.t.c), how you style your prints, colors and so on. Later, in the series I’ll talk about those areas mentioned earlier on. So hold on tight ! Hey, have you subscribed to the blog ? Scroll down, and click on the follow button, its free! And when you do, please don’t forget to confirm your subscription from your email. I think I fall under the apple body shape, adding volume to my lower body to balance my silhouette is one sure thing to do. Thanks for the tips. Oh really, I’m glad you found the post helpful.